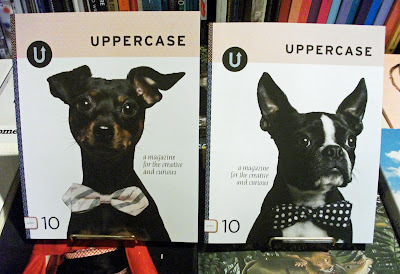 Attention creative and curious readers, the newest issue of Uppercase is here! This issue's special topic: the pet as creative muse. There's some pretty cute stuff in behind those covers. For a sneak peek into this #10 of the magazine, see here. Now, which cover will you choose?